Family Conferences are weeklong, life-changing family events. Rich fellowship, inspiring messages, and hands-on workshops make Family Conference something to look forward to by anyone who has experienced one. Whether making new friendships with other families or rekindling relationships from previous years, the conference is an annual highlight for many. The conferences are structured to foster spiritual growth as young and old alike are challenged to honor God’s Word in every area of their lives. God has given Dr. Guthrie a keen understanding of the world of nature and a remarkable ability to capture the attention of audiences as he explained life principles from the world of nature. Dr. Davis' Bible-based presentations are loaded with illustrations and pictures that will encourage and challenge us to draw near to God. Jon Burham not only enjoys telling others about Jesus, he teaches others how to share their faith in Christ. Jon and his wife, Bev, have three children and sixteen grandchildren. With contagious enthusiasm for living for a living Savior, Gabriel animatedly and clearly exhorts both young and old to personally know Jesus Christ. Bob Newhouse has been involved with the home school movement for many years, helping fathers take the lead in training their children. Keith & Jenny Daniel are from Cape Town, South Africa. Keith is an evangelist with the African Evangelistic Band. Jenny’s transparency and candid sessions for women endear her to her listeners. Gary Fraley’s message, “Keeping It All Together,” will encourage you in the spiritual leadership of your home through illustrations from the ten years he and his father hunted on horseback. Tim’s involvement with IBLP ministry spans over 27 years in various responsibilities. He and his wife Angie served in Mongolia and Korea, and they now reside in Big Sandy, Texas. Gil and Kelly have seen God take care of their family of 19 children. They delight in sharing testimonies of God’s work in their lives. David Waller, father of four and fifth sibling of ten, is grateful for an upbringing that challenged him to combine a Scripturally-founded faith with real life situations. 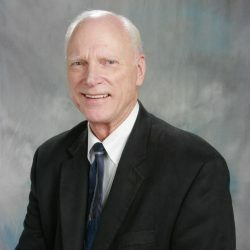 David serves as director of ATI. Sessions for students aged 12 and up will focus on the importance of fully trusting the Lord for every area of your life. This includes your future, your work, your marriage, and your ministry. Fun times and solid Biblical teaching await young ladies between the ages of 8–11! Enthusiastic leaders model for younger ones the joy in knowing God and serving Him. Does your young person have an interest in photography? Techniques and tips for developing photography skills are offered in this workshop, as well as ideas for possible ministry. Present special music as a family or participate in orchestra and instrumental ensembles. Young ladies aged 12–15 enjoy activities and sessions motivating them to seek the Lord first, to love Him with all their hearts, and to humbly serve others in their youth. This program is for children aged 4–7 years old. Small and large group activities provide Godly instruction in ways that are both understandable and exciting to them. This all-day program is for young men aged 8–17. Participants experience challenging outdoor activities, spend time in God’s Word, and learn and practice new life skills. Register by July 15 to receive a 15% discount on your entire registration! Families enrolled in ATI receive a $100 discount. $35 non-refundable for conference registration cancellations. No refunds for cancellations made on or after Monday, July 29. The Northwoods Conference Center, owned and operated by IBLP, offers 63 hotel-style rooms, 10 suites, and 6 apartments on a first-come first served basis. Each suite includes a living area and kitchenette. The apartments consist of two bedrooms, two full baths, kitchen, and living area. 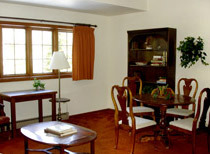 All rooms are furnished at the beginning of the week with linens and towels. To find our more information please see the below information. Please call the Northwoods Conference Center at 906-358-4500 to reserve lodging. Other housing ideas are listed below. A bathhouse equivalent will be provided. Dump station and water fill up will be available upon request. Kayaks, paddle boats, and canoes are available on a first-come first-served basis and to be returned at the end of each use. No motorized boats will be permitted on the lake during this week by conferees. Sand and grass volleyball nets may b e available during non-session times. There are paved roads around Wolf Lake and several smaller surrounding lakes, along with marked forest trails for hiking and biking. While a few bicycles may be available at the lodge, we encourage you to bring your own bicycles so you can take in the great outdoors. Meal plans will be available for purchase through the Northwoods Conference Center (906-358-4500). Meal prices are $6 for 12 and older and $4 for ages 4-11.